My Dear Melancholy, seems to be about The Weeknd’s past relationship with Selena Gomez. He had a whole album written and completed before My Dear Melancholy, but scrapped it because of his breakup that inspired a mood change. Abel Tesfaye, better known as The Weeknd, is a true artist in every sense. 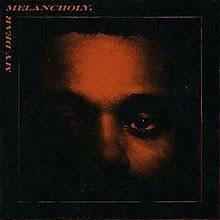 Tesfaye’s has an extraordinary music taste that mixes alternative R&B with pop as well as explicit lyrics, but Melancholy shows an obvious difference with its atmospheric style. This line deals with the fact that Selena Gomez was seen with her ex, Justin Bieber, shortly after ending her 10-month relationship with Tesfaye. “Call Out My Name” was the leading song in the album with its intense verses and music video. The song was powerful with plenty of meaning, however, the music video was undefinable as well as dreamlike and haunting. The album has some of his best songs on there and fans are speculating that The Weeknd has more new music up his sleeve based on the comma after the album name.